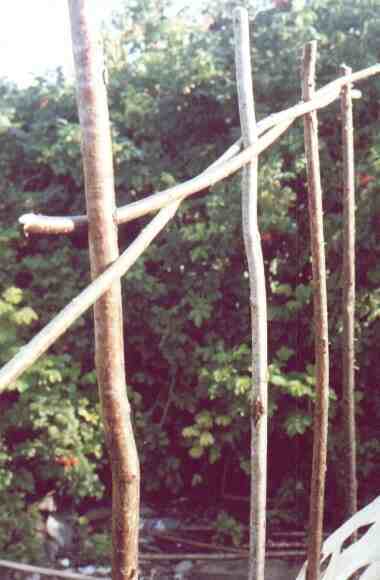 The Hurdles described on this page are my adaptions of hurdling techniques that have been used for thousands of years, our ancestors used similar methods to construct shelters for themselves and for their livestock, they have been used in industries and gardens, fortunately this ancient craft has been kept alive (just), and with the revival of interest in woodland crafts more people are learning these ancient skills. I do not profess to be an expert on this particular craft as I have an infinite number of things to learn but only a finite time to learn them in, so I tend to specialise in diversity. On with the show. 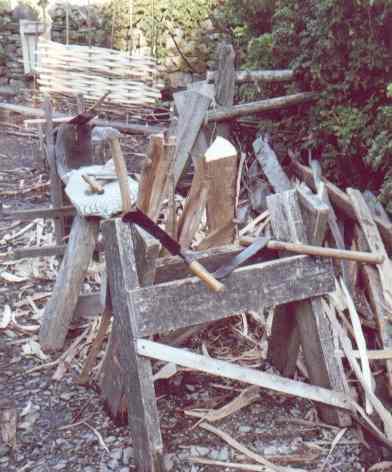 Above: The photograph shows different stages in the preparation of the oak, the oak is first quartered using wedges, it is then riven using a combination of wedges, froe and brake, Each time being split in half until the required thickness is achieved. When riving thin pieces I use either a knife or the hook of a small billhook to open the split and use my hip as a brake to control the direction of the split. 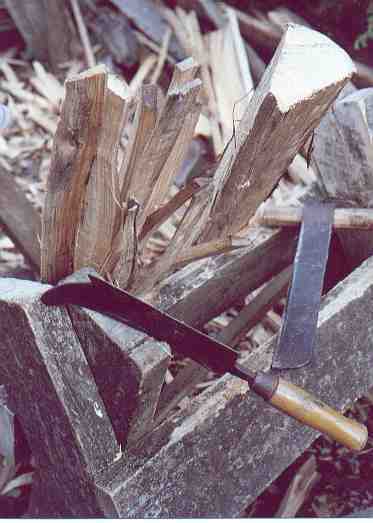 The photograph below shows a lat being riven with the nose of a small billhook, this is about as thin as I can achieve using a billhook, if I need to go any thinner I tend to use a knife. 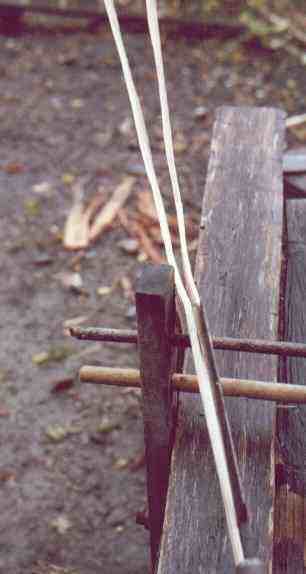 Twilley rods being added to a hurdle, these are fitted as a pair and as well as being woven between the zales (uprights) they are also twisted around each other. When I get time I will do a sketch of the different parts of the hurdle to make it more clear.